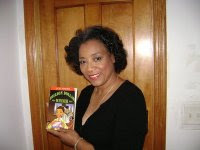 Arlene Jones - Featured Columnist Austin Weekly News: Aw....She broke her Nails! SALT LAKE CITY - A Utah woman listed in the Guinness Book of World Records for her long fingernails has lost them in a car crash. Lee Redmond of Salt Lake City sustained serious but non-life-threatening injuries in the accident Tuesday. Redmond's nails, which hadn't been cut since 1979, were broken in the crash. According to the Guinness Web site, her nails measured a total of more than 28 feet long in 2008, with the longest nail on her right thumb at 2 feet, 11 inches. Salt Lake County Sheriff's Lt. Don Hutson says Redmond was ejected from an SUV in the crash and taken to the hospital in serious condition. Redmond has been featured on TV in episodes of "Guinness Book of World Records" and "Ripley's Believe It or Not." GOT THIS EMAIL AND I MUST RESPOND PUBLICALLY! PAY ATTENTION CHICAGO! PAY ATTENTION! Is it Really That Easy To Spot A 14-Yr-Old? Where Is The Outrage Over This Child's Treatment?